“What are the Secrets? Not money, big house, or fancy car, neither having the perfect look. Come to this special one day program, you will know the secrets and start your healing journey”. This one-day program provides an opportunity for women to learn and experience the most effective ways for healing, relaxation, rejuvenation, and empowerment. This program provides healing guidance and practices to improve your health, relationships, internal strength, and emotional balance. In addition, you will learn effective ways to reduce life stress and enhance your anti-aging practice. 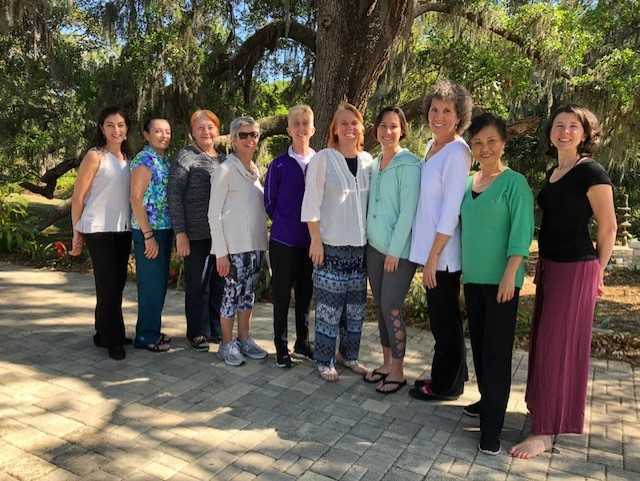 The program includes lecture, discussion, hands on practice, and a Qi Gong practice developed for women. Participants will have an amazing feeling and bring home a smile, peace and self healing techniques they can use on a daily basis. The program will be conducted in a relaxed and supportive atmosphere. Women of all ages who are seeking wisdom for health, relief of stress, a clear mind, and or to have improved relationships. The program is also recommended for holistic practitioners who may use it for themselves and to help their clients.